There are literally hundreds of wineries offering top-shelf hospitality and unique experiences, so it can be tough for each to set itself apart with distinction. The setting at Spire is breathtaking from the second you make your way down the long, tree-lined driveway. Once you get parked, you are presented with majestic views of the mountains on both sides and an incredible panorama of vineyards that will please the most discerning and experienced wine country traveler. The tasting room at Spire is designed to maximize the enjoyment of the tremendous outdoor scenery with ceiling to floor windows that slide open, so you can see and feel the natural beauty all around you. They have an impressive outdoor patio area with plenty of room to relax and enjoy the surroundings. The tasting room is comfortable and pleasing to the eye. They have an extensive collection of classic albums on vinyl and a record player so that guests can enjoy their personal musical selections while sipping some wonderful wines. Our host, Sally Drews, greeted us warmly and provided extensive education as we tasted through some wines from Spire’s extensive portfolio. The Spire Collection is a global assembly of wineries owned by Jackson Family Estates. Jackson is best known for its Kendall Jackson Vintners Select Chardonnay, which is one of the most recognized wine brands in the world. JFE has undertaken an impressive number of high-quality acquisitions over the past decade, many of which have become part of The Spire Collection. We tasted wines from several sites around the world, including California, Oregon, Italy, France and South Africa. Each was a unique reflection of its own terroir. Aromas of cranberry, cassis, and pine with flavors of pomegranate, huckleberry, sandalwood and milk chocolate. 86 percent Cabernet with 14 percent Merlot blended in. Rich texture and refined aromas of dark fruits and smoke with flavors of black cherry, plum and toffee. 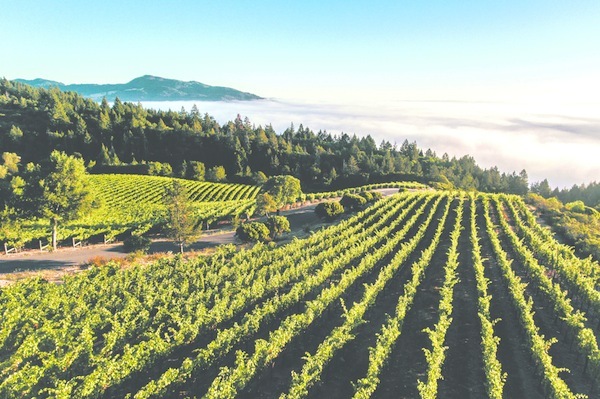 Flavors are chocolate, espresso, ripe blackberry, and a hint of Petit Verdot finishing with an earthy tannic structure, there is no doubt you are drinking a Howell Mountain Cabernet. Black and red berry flavors with hints of herb, Asian spice, espresso and toast combining with floral notes, weight and a wonderful finish. If you are looking for a couple of special bottles to add to your collection or a new and exciting experience for your next Napa Valley visit, then The Spire Collection should be high on your list.